Wat Chedi Luang is a famous Buddhist temple in Thailand's northern city of Chiang Mai and one of the city's most important. 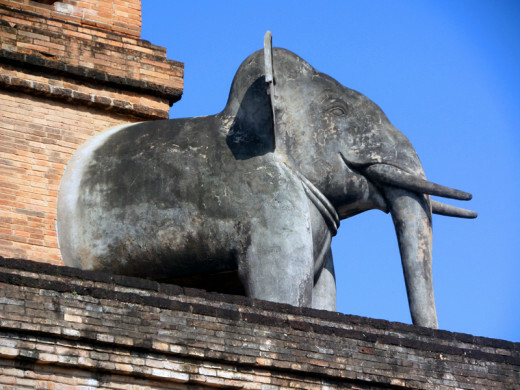 Most visitors to Chiang Mai find this temple is well worth a visit as it has many interesting structures, statues and artefacts. 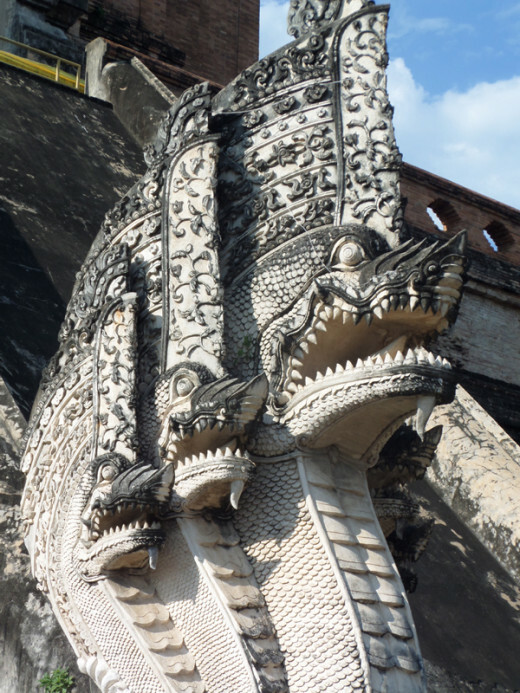 The most notable of them is the huge, ancient chedi, which was severely damaged by an earthquake almost 500 years ago (BE 2088 or 1544 CE to be exact). The exact age of the temple isn't known, however. 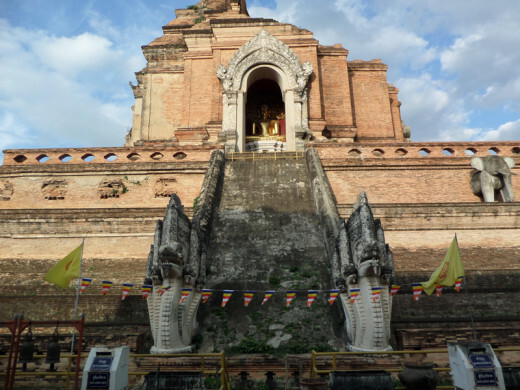 The picture below shows the chedi in its current, partially restored state. 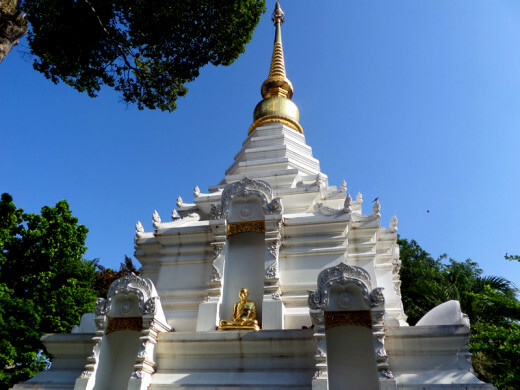 A chedi, (elsewhere called a pagoda or stupa) is the Buddhist equivalent of a Christian reliquary; it holds a relic of someone important in Buddhism's past, ranging from items of long-dead but still highly-revered monks or abbots to relics (supposedly) of Buddha himself. Wat Chedi Luang (wat means Buddhist temple in Thai) used to hold Thailand's number one icon - the Emerald Buddha, (which is actually a form of jade, not emerald), but that is now kept at Thailand's premier religious site, Wat Phra Kaew, (The Temple of the Emerald Buddha) in the grounds of the Grand Palace in the capital, Bangkok. 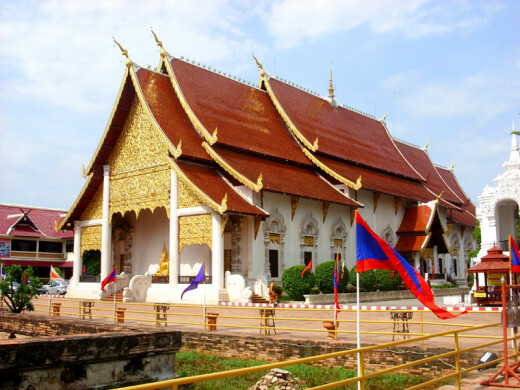 Because of its historical and religious significance, Wat Chedi Luang is also a tourist attraction in addition to its primary role as an important site of devotion for Buddhists. Unlike most tourist attractions, however, it's completely free to enter and wander around to enjoy the splendours of its ancient history and intricate artistic designs. Saffron-robed Buddhist monks are a common sight at the temple, and there are opportunities to partake in some informal chat with them if you like. They live here and perform ceremonies and services to the local Buddhist population just like in any Buddhist temple monastery. There are a couple of 'Monk chat' areas where visitors are welcome to sit and ask questions in English about Buddha, Buddhism and the life of a monk living at the temple. They're certainly not trying to convert anyone; they just want to inform anyone who is interested in knowing more about Buddhism - and practise their English, too. Also in the temple grounds are a Buddhist manuscripts library and museum and also the Lanna Campus of Mahamakut Buddhist University. 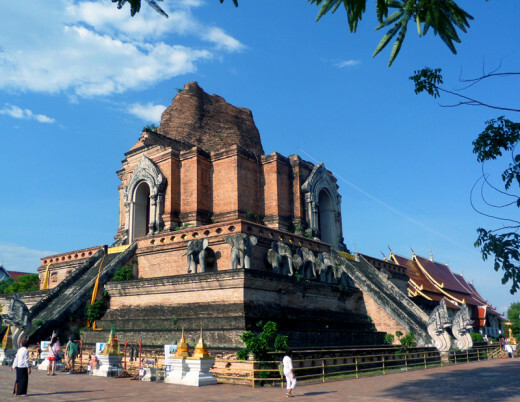 Wat Chedi Luang is located in the centre of the 'old city' district of Chiang Mai - the original walled city surrounded by a moat. The main entrance to the temple is on Phra Pokklao Road (See the map below). You can take a 'tuk-tuk' (three-wheeled taxi) to the temple from just about anywhere in Chiang Mai for a couple of dollars. 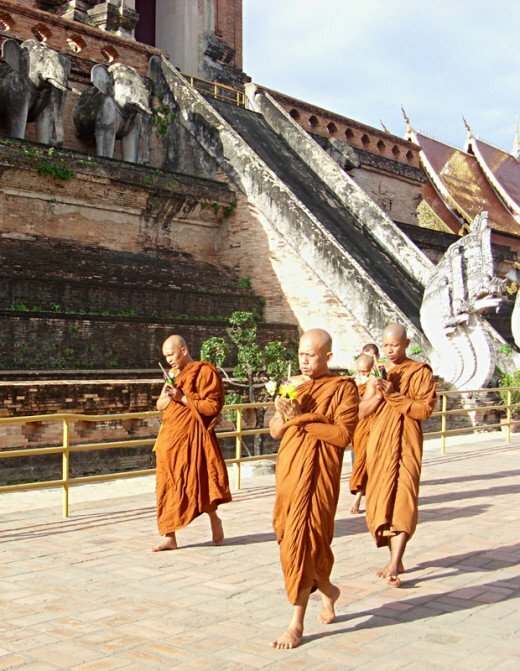 In common with all Buddhist temples, visitors are expected to dress and behave appropriately. 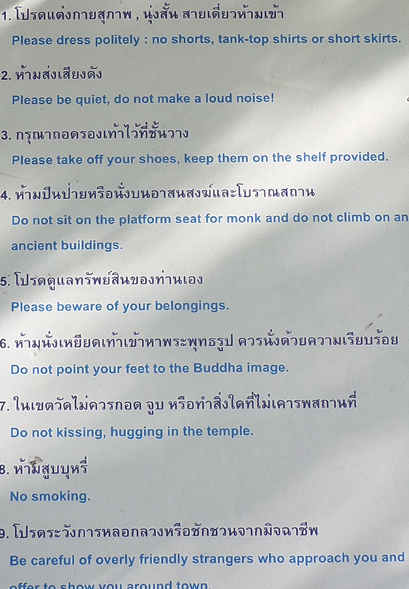 Common sense rules are posted, such as showing respect to Buddha statues and monks. 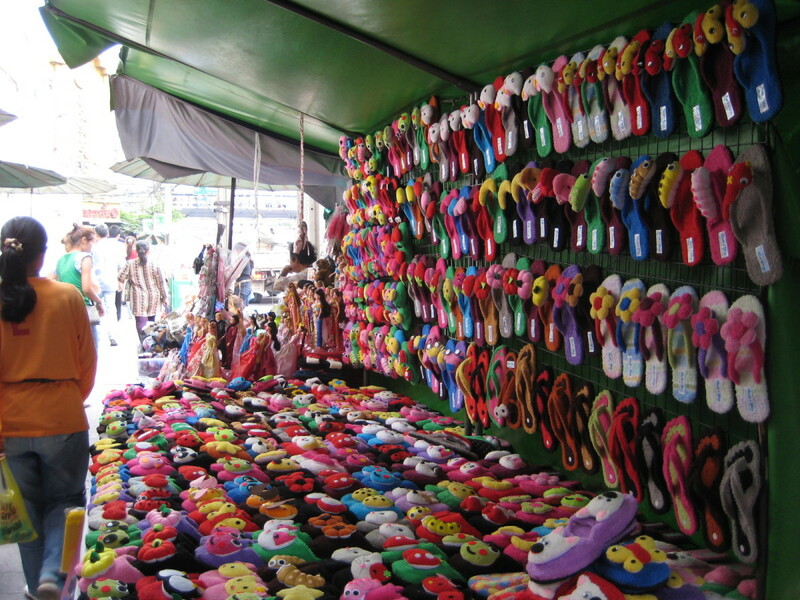 However, the dress rules aren't as strictly enforced as in the Temple of the Emerald Buddha, where even sandals aren't allowed. According to the guidelines posted at Wat Chedi Luang, shorts shouldn't be worn , but they're quite a common site. Visitors aren't aware of the dress rules until they're actually inside the temple grounds and read the sign. There's not much they can do then - they're already there, and seeing others with shorts they assume it's ok and that there's no need to leave. 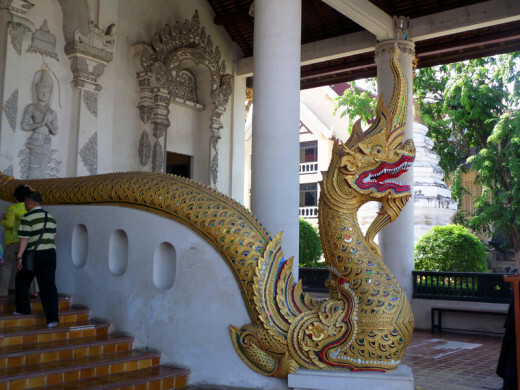 Multi-headed Naga - Chedi Serpent Guardian (Naga arrived in Buddhism from Hindu mythology). Thanks, Kristen. 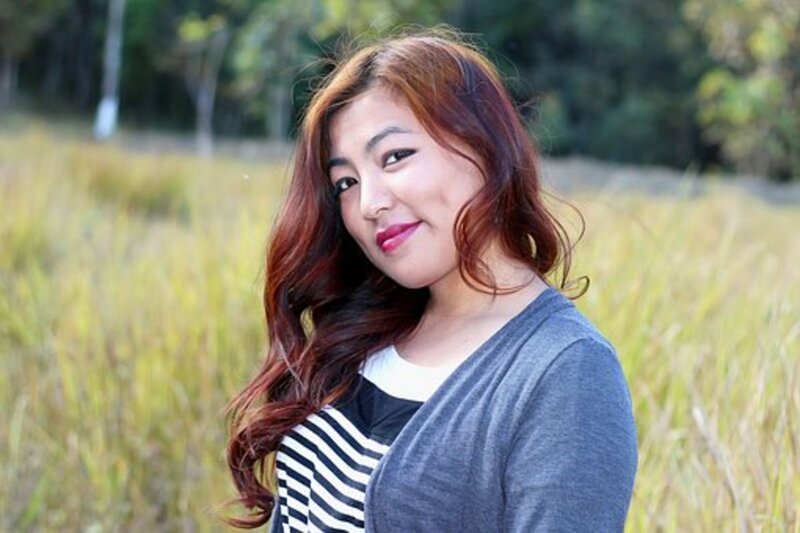 Yes it's very interesting to walk around this temple or even just sit and relax and soak up the peaceful atmosphere. 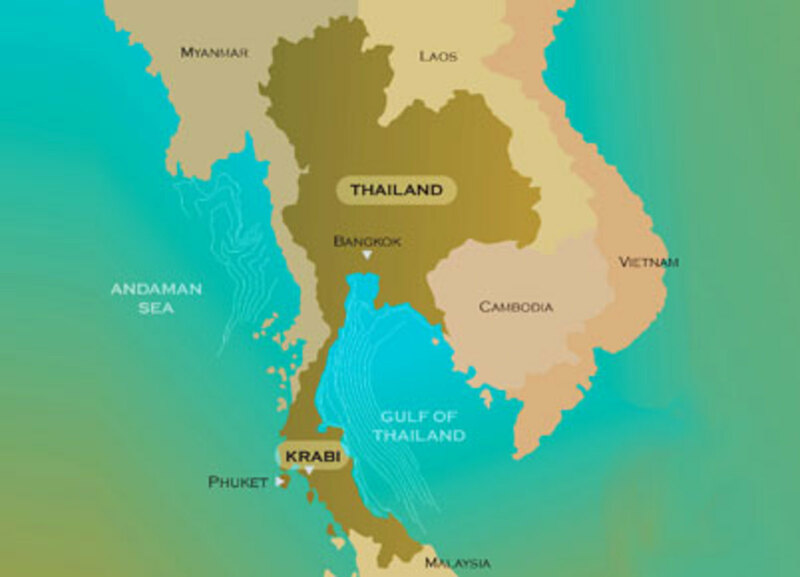 Great photos for this lovely travelogue in Thailand. It's very interesting and beautiful to know about that temple. Voted up!